Are you looking to install a flat roofing system on your home that will be durable and long lasting? It is no secret that most roofing system options for low-slope homes fail only after 5-7 years of service, and are susceptible to moisture and leaks. The good news is that there is a high quality roofing system that can take care of all these issues for you – a PVC roofing membrane. While PVC roofs have been primarily used in industrial and commercial applications, they are growing in popularity among savvy homeowners who are looking for durability, longevity and energy-efficiency. Learn about the numerous advantages of PVC that will provide you with excellent protection, and guarantee your peace of mind for years to come. 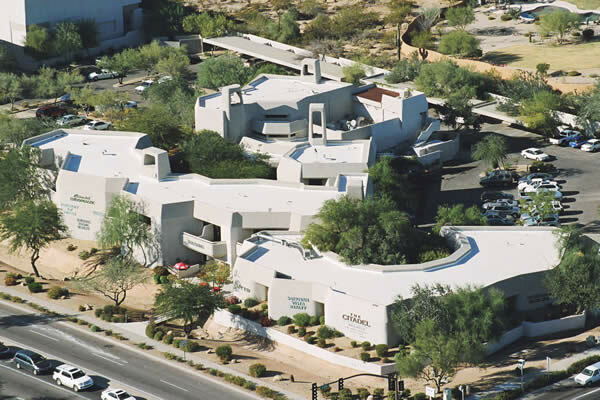 You may know firsthand that leaks at the seams are the Number 1 cause of problems in low-slope roofs. With a PVC roof, your home will be completely watertight: resisting leaks and even ponding water that has been sitting on the roof for days. PVC roofs have hot-air welded seams, that are actually stronger than the membrane itself, making it impossible for any moisture to get inside. Moreover, constant dampness, high and low alkaline conditions, exposure to plant roots, fungi and bacteria will not affect your PVC roofing membrane. PVC’s hot-air welded seams make it extremely durable in all weather conditions. If you live in a region prone to strong winds, a PVC roof will offer superior protection against wind uplift. Numerous in-service membranes have survived Category 3 hurricanes. Moreover, PVC roofing membranes are highly resistant to fire. Your PVC roof will be difficult to ignite, will not support combustion, and will self extinguish when the source of flame is removed. PVC roof’s exceptional durability translates into a very long service life. A properly installed PVC membrane can last well over 20 years. Reputable manufacturers, such as IB Roofing Systems, offer a lifetime materials warranty on their residential PVC roofing membranes. Your PVC roof will require very little maintenance throughout its long service life. 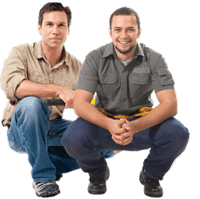 Typical maintenance will consist of cleaning up any dirt and debris, to make sure that all drains remain unclogged. Moreover, because your PVC membrane will remain flexible and weldable throughout its service life, it will be easy to repair by heat-air welding any problem areas. 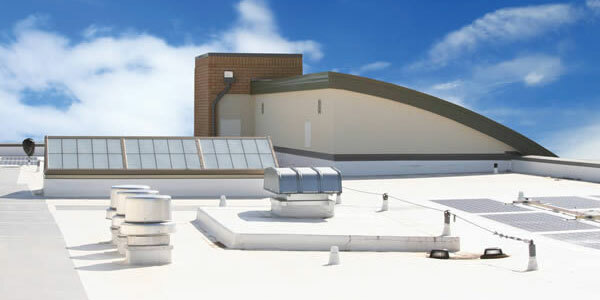 In case you ever want to put in a skylight, any new structures or equipment on your roof, installing these new units will be fast, easy, and leak – free. If you would like to install a green roofing product that will also help you save on your energy bills, PVC is an excellent choice. PVC roofs are Energy Star rated because they have highly reflective surfaces, which make them cool roofs. This means that your PVC roof will reflect as much as 80% of the sun’s UV rays. This will translate into a more comfortable home environment, lower energy waste, and reduce your annual cooling costs by as much as 30%. You can also save money and help the environment by installing your PVC roof right over your old roof. A PVC membrane is light enough to go on top of most other roofing systems, which means you will not need to spend extra money on removal of the old roof, as well as save it from going to the landfill. PVC is an excellent waterproofing product when it comes to roof decks, patios, balconies, etc. Several PVC manufacturers have specialty membrane products like IB DeckShield, which is made to be walked on, to be slip and puncture resistant, offer long life cycle, and reduce overall cost of roof decks. Such products do not require a floating deck on top, and can cut the total cost of a roof deck by about 40%. Do you have supplier here in the philippines and someone who can actually install it for me. Do you have supplier here in the philippines particularly at davao city and someone who can actually install it for me?